Home visits are designed for you. Owners who are unable to make any of the scheduled courses, who have specific problems that cannot be resolved in a dog class environment or would prefer to learn on an individual basis. 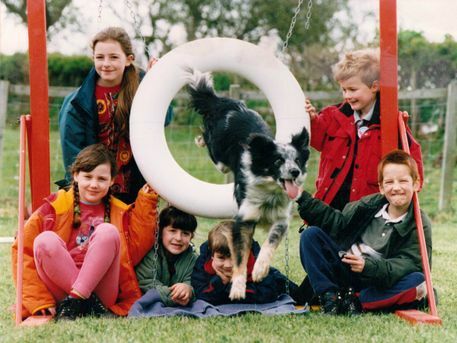 Sessions are tailored to suit the individual needs of dog and owner. Training will be carried out at your home and where you walk/exercise your dog. Although there are many dog trainers out there who offer home visits for dog training and behaviour problems, the vast majority's only real experience involves training their own pet dogs! or have irrelevant qualifications via weekend or internet courses.Take a look at our qualifications and experience on the home page. Recall- Scared to let your dog off lead ! This could be the home visit for you. We will be looking at getting your dog back irrespective of distractions. 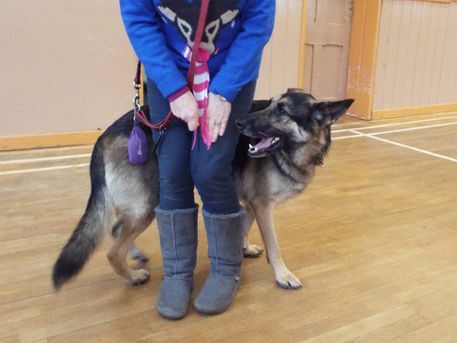 Basic Obedience- Sit stays, Down stays, Control through doors, Distance control etc.. Toilet Training- Teach your puppy/dog to toilet outside of the house rather than inside. Dog Training home visit costs £60.00 per visit and lasts approximately 1 1/2 HOURS. One visit is usually enough for individual problems. Price includes back up advice over the phone. Book 4 dog training home visits for £200.00 ( one visit per week for 4 weeks) a saving of £40.00. This block booking will cover everything that the average pet dog owner would like. A well-behaved dog at home, a dog that will walk nicely on lead, will come back when called when off lead even with distractions and respond well to basic commands. Aggression- There are many many reasons why dogs can be aggressive to other dogs, strangers or even yourself. Apart from being dangerous it is also very stressful to both owners and dogs. Probably the most common comment we receive from clients is "why have we lived with this for so long when we now realise there is so much we can do to help"
Separation Problems- Issues with dogs barking, chewing when left alone for periods of time. David has spent many years dealing with dog behaviour problems and due to his experience has been called upon as an expert witness in court where dogs are the centre of controversy.. Initial 2 hour consultation, plus two 1.5 hour follow up visits and 3 months phone/email support If required. This package costs £210. Initial consultations are held as house visits and follow up visits can either be held at your house or at an appropriate location to work on the problem behaviour e.g. the park. Follow up visits if required are £45 per hour. If a half hour visit is appropriate, these are charged at £25. Contact David to arrange any of the above dog training home visits, or behaviour consultations, by using the details on the contact us page.